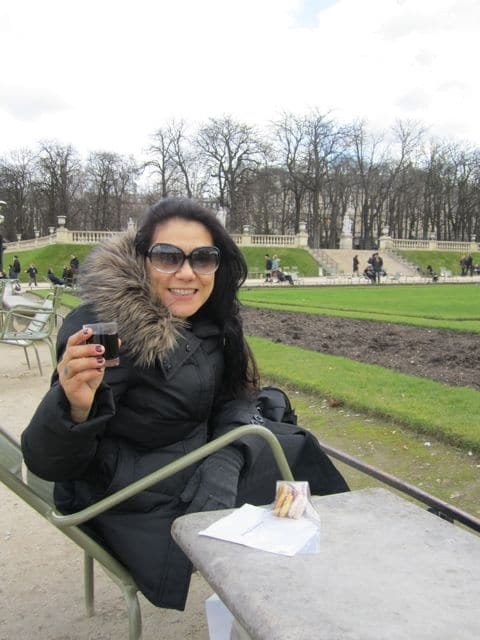 I spent 4 days in Paris eating, drinking and walking most of the time. No doubt that I live to eat and drink. It’s my job, it’s my passion and when it comes to food and wine it’s hard to beat France. Never mind Paris… My ambitious plan included about 30 wine bars, food markets and restaurants to check out, so off I went. 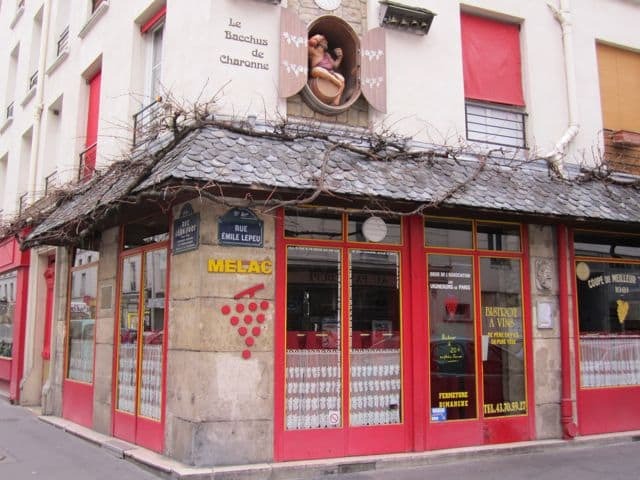 My first stop was Melac, a wine bar known for it’s wide selection of Southern French wines and for having vines planted around the facade. Each September there’s a party to celebrate the harvest. 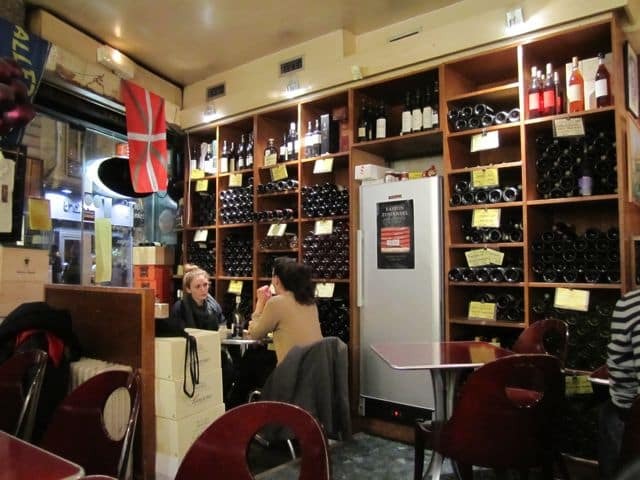 Unfortunately it was closed so I went to another wine bar on my list: Le Baron Bouge (not Rouge), next to d’Aligre Market. 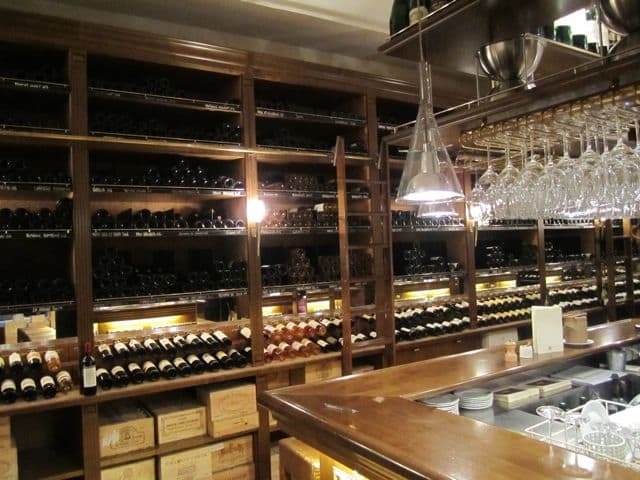 I tried a few wines, hang out for a while, met some people and was kindly invited to join them at Les Caves du Prague, a newer, modern shop/wine bar around the corner with a different approach and equally fun. The next day I had Brunch at Rose Bakery, an awesome, all organic place that did magics with my hangover. Everything is made in house and you can taste the quality and love they put in it. From there I hit the Louvre- paid homage to the Mona Lisa, Venus de Milo, the Sphinx and ran to Pierre Hermes; the number one Patisserie likely in the universe. 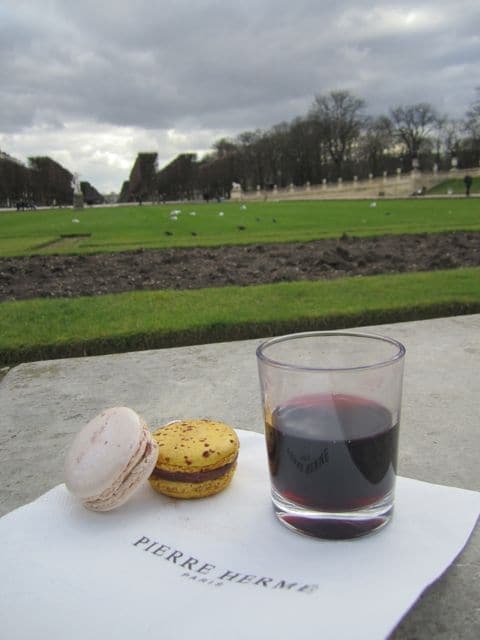 I paired a White Truffle Macaroon with a Touraine Gamay which I savored at the Jardin du Luxemburg. I headed to Au Sauvignon, an old-school wine bar in Saint-Germain that I thought specialized in Beaujolais Crus, but came to find out this wasn’t the case. Instead I tried a white Menetou Salon, an appellation near Sancerre but much smaller. 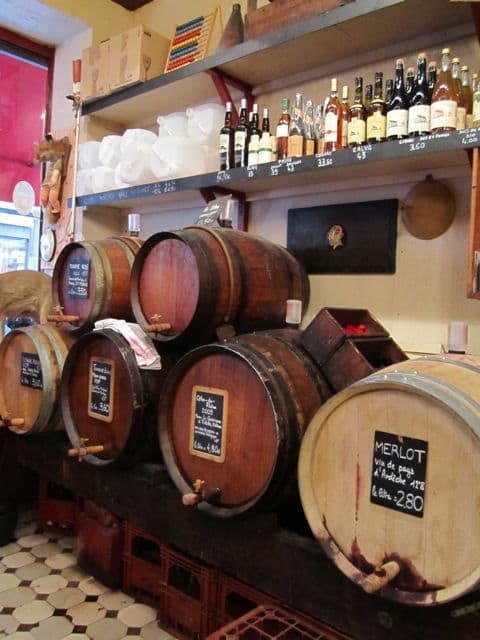 After a stroll around the area we crossed the Seine for more libations at Juveniles, a wine bar near Palais Royal with interesting food and an international wine list. 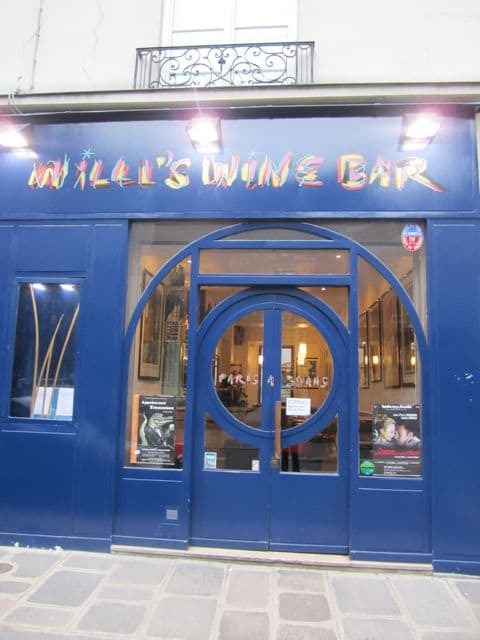 We tried to have a nite cap at Willi’s Wine Bar, but the legendary Parisian attitude threw us off. 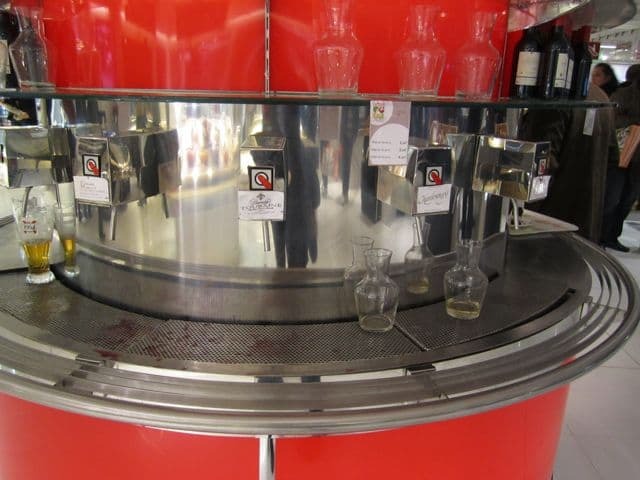 The last day I shopped at Gallerie Lafayette, where I had tap wine from their wine fountain- mon dieu, ces’t fantastic! Then I met my friend Markus at Caves Legrand inside the Gallerie Vivienne, a perfectly preserved passage built in the 19th Century. This fancy shop/wine bar is worth every penny. Here we had the best Menetou Salon rouge (Pinot Noir) to date with very limited production thus hard to find. For dinner we had braised baby goat, an specialty of Corsica with of course, Corsican wine, which I had never had before and enjoyed it very, very much. 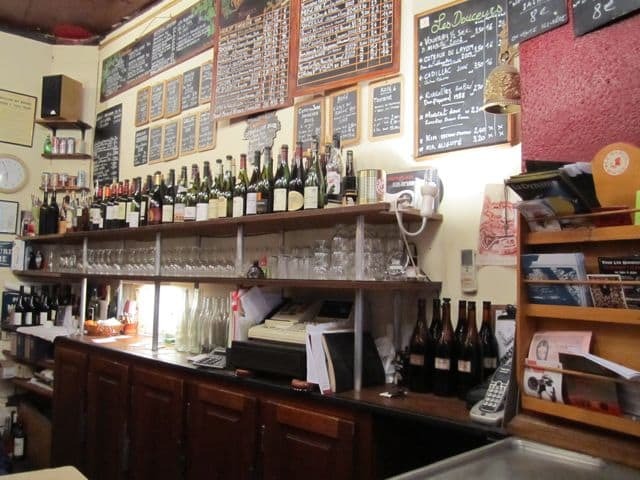 Then a few more glasses at Aux Tonneaux des Halles, another wine bar that was on my list and didn’t fail to impress. To end the trip in style we had cocktails at the China Club. Tres Chic!